Turn key and ready for move in. Tastefully updated and designed to entertain and enjoy paradise. Step into a sprawling open layout masterfully designed to entertain and impress with beautiful wood flooring, granite counter tops, cherry cabinetry and stainless steel appliances appoints the kitchen and living space. The entertaining continues as you step out to the screen lanai and pool space to a paver patio, complete with built in bench, fire pit, and outdoor shower. Cedar accents throughout and cedar fence provides privacy and continues the relaxing aura that is 100 Norwood. 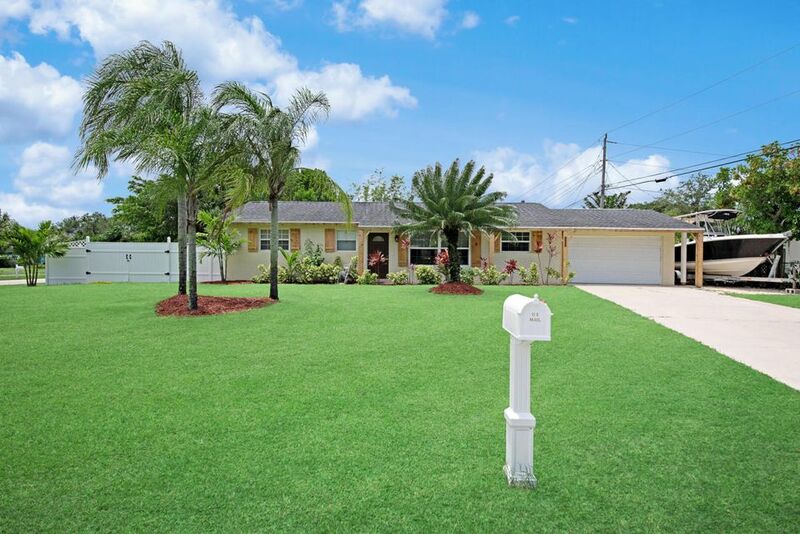 A perfect corner lot location, fully fenced and minutes from all the beauty of Jupiter, Tequesta and Juno beaches. New water heater and AC system completes this turnkey tranquil environment with room for boat storage.